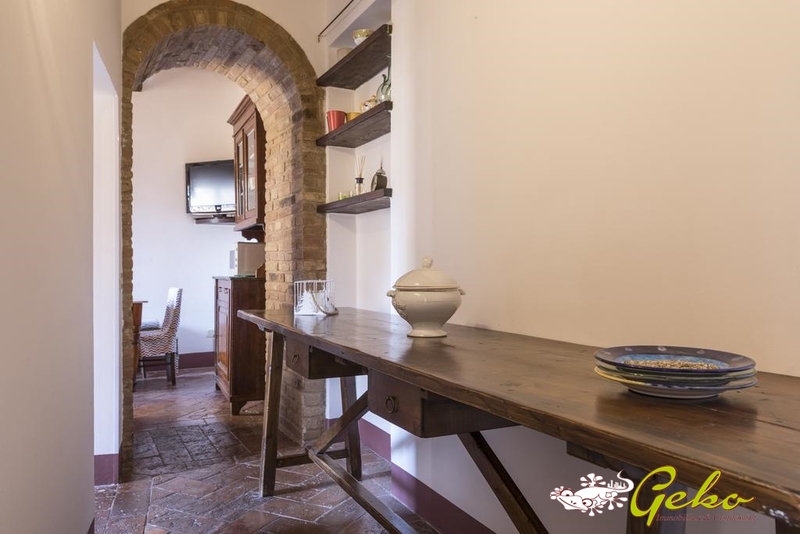 flat positioned in the historical centre of San Gimignano, close to Via San Matteo and P.zza Sant' Agostino in sought after location , offers a nice view over the towers of San Gimignano. The apartment on the first floor of a small building, has 2 bedrooms and a fully equipped bathroom and closet. 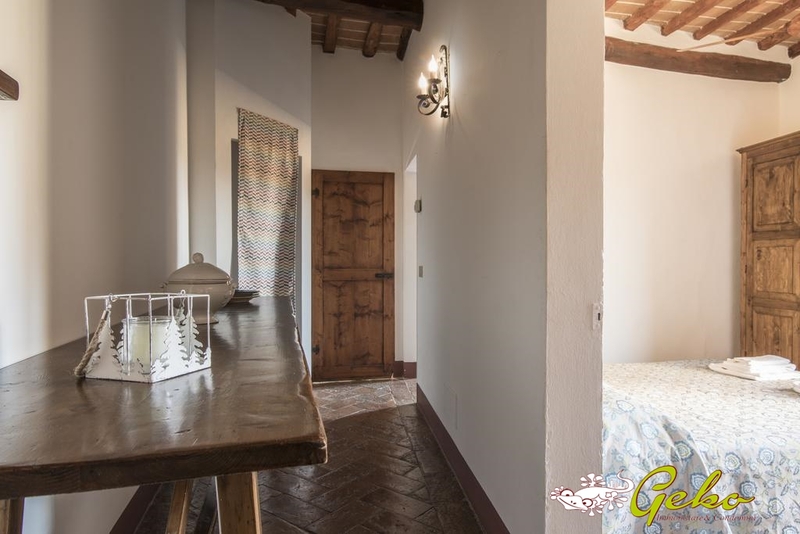 The House have typical Tuscan finishes ad terracotta floors with beamed ceilings and terracotta, the wooden doors were perfectly preserved and restored in order to keep the ancient atmosphere of the Center, all in a bright and friendly atmosphere just steps from amenities . 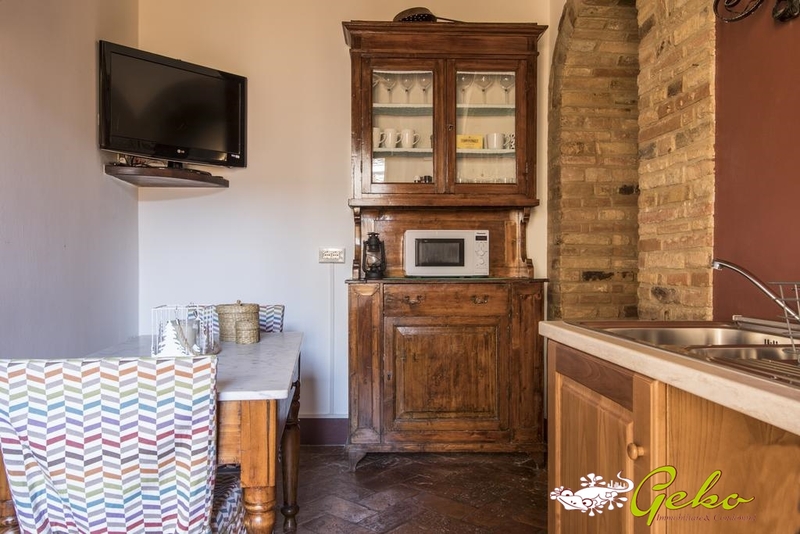 The price is inclusive of fornitures and the lovely kitchen ! !